AXACON ticket prices LOWERED from $85 to $50! AXACON is now exactly one month away, and ticket prices for the weekend convention have just been lowered from $85 (not counting online processing fees) to $50. This price reduction is based on a different scope to the ticket being purchased. Initially, attendees would be required to first buy a $60 ticket to SphinxCon (celebrating the Honor Harrington book series) and then add on a $25 Axacon ticket. The attendee would then be able to attend BOTH conventions. But although attendees for SphinxCon were allowed to opt out of Axacon and simply buy the one ticket, attendees to Axacon had to buy a ticket for both…even if they didn’t really care about or were completely unfamiliar with the Honor Harrington novels (like me). The challenge for ALEC PETERS and the organizers of Axacon was this: they’re “piggybacking” their convention on top of an existing convention. SphinxCon is paying all the bills for the hotel facilities, and Axacon is then using a small section of their convention area for a weekend of panels and events. So it seemed logical to Alec (at the time) to require all Axacon attendees to buy a regular ticket for SphinxCon. That way, SphinxCon would recoup some of the added costs for the extra hotel space. Axacon-only ticket: $50 – can attend only Axacon panels and events. SphinxCon/Axacon-combo ticket: $75 – can attend panels and events for both conventions. In this way, SphinxCon still gets reimbursement for sharing their hotel space (half of each Axacon ticket), but Axanar supporters no longer need to pay for a separate SphinxCon ticket if they have no intention of going to the Honor Harrington panels. Or they can buy a combo-ticket for both. 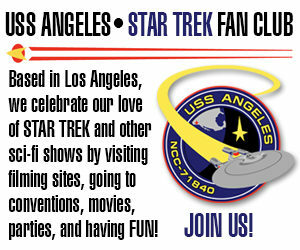 Also, information on one-day tickets will be posted soon, as well. Those Axacon attendees who have already purchased a SphinxCon ticket and don’t want to use it will be given a refund. 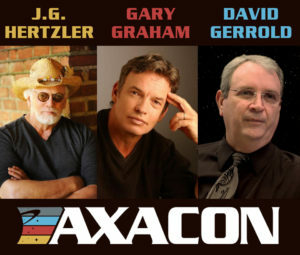 You can order Axacon tickets here. Previous Previous post: 5-in-5! STARSHIP TRISTAN releases its 16th fan film: “Distant Echoes, part two”!